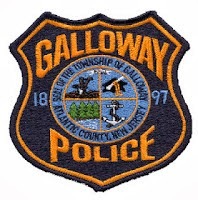 Galloway Township Police responded to 911 calls for service during May 18, 2014 through May 24, 2014. Additional statistics include: 6 Burglaries, 26 Motor Vehicle Accidents, 100 Tickets issued, 3 Driving While Intoxicated, 26 Arrests, 11 Domestic Violence, 10 Fire Calls, 87 EMS Calls and 0 Juvenile calls. On 5/18 Alexis J. Meeker 22, of Manchester, was arrested by officer Ron Gorneau for DWI. On 5/18 William T Schad Jr. 40, of Absecon was arrested by officer Kerry Baerman for theft of movable property. On 5/19 Jimmy Pickett, 38 of Atlantic City was arrested by Detective John Kelly for burglary, theft and criminal mischief. On 5/19 Michael A. Ritenour 36, of Gainesville Virginia was arrested by officer Kevin Jorgensen charged as a fugitive from justice. On 5/22 Justin Paugh 29, of Atlantic City was arrested by officer Ro Gorneau for Possession of marijuana 50 grams or less. On 5/23 Shannon A. Templeman 53, of Hamilton Township was arrested by Detective Bryan Casey for Possession of CDS. On 5/24 Rebecca Wilson 23, of Vineland was arrested by officer Kevin Costa for DWI. On 5/24 Teresa English 51, of Galloway was arrested by officer Vincent Ceci for obstruction and improper behavior.